Bryant Park is located behind the New York Public Library from 40th to 42nd Street between 5th and 6th Avenues. The closest subway to Broadway in Bryant Park is the 7 or B/D/F/V to 42nd Street/Bryant Park. The concerts are mostly on Thursday afternoons beginning at 12:30 p.m. and last approximately 1 hour. Admission is free. Performers from each Broadway show perform 2-3 songs during these hour-long lunchtime concerts. There are plenty of chairs and tables throughout Bryant Park, though you may want to bring a blanket if you want to sit on the grass. 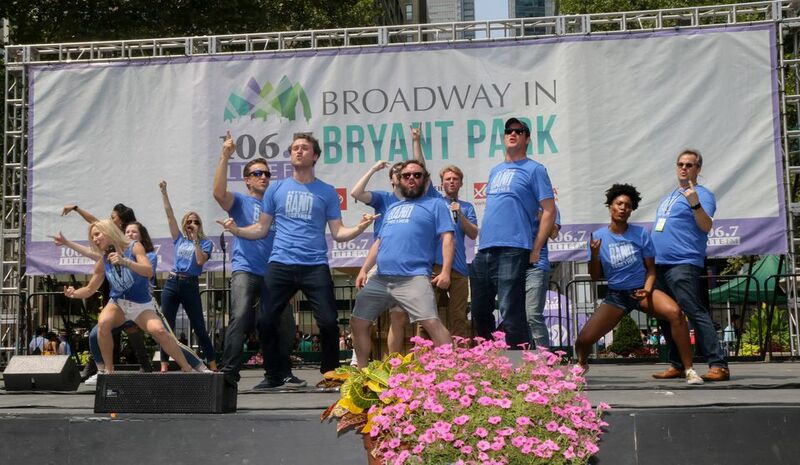 Performances from: Finding Neverland, CHICAGO, Sistas: The Musical, and Mamma Mia!